This exact day was Alaina & Tyler's SIX year anniversary of being together and that special feeling carried throughout the entire day. Sangria and wine tinted flowers decorated each table and filled the room with such vibrancy. 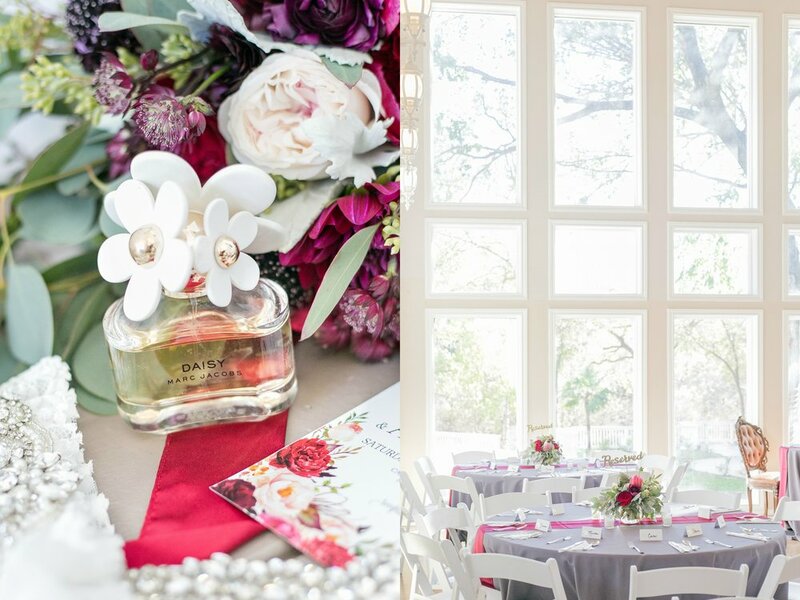 Every detail was in place and set the mood for a romantic day to celebrate this beautiful couple's love story. 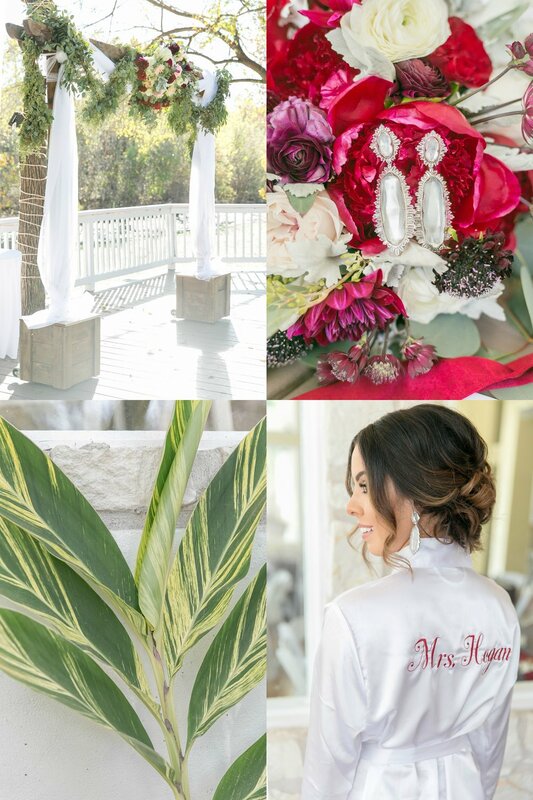 The glowing bride was ready- her beautiful wedding dress was steamed, the perfume ready to spritz on her wrists and the sparkling jewelry was perfectly new, just waiting to be appreciated. White chairs for each guest were placed perfectly in rows on the back lawn. The alter was dressed to perfection with draping florals and bright greenery. And would you look at those stunning Kendra Scott earrings? I'm convinced, these are the wedding earrings of the year! They give off the most amazing art-deco meets glam look & capturing these beauties with the wine colored blooms make my heart so happy. The girls enjoyed their time together before the ceremony as they made the last touch ups and words of encouragement to the gorgeous bride. Alaina gave Tyler a very practical gift for him to wear for the day and with a sweet note reminding him to not be late! Tyler gifted his gorgeous bride with a very thoughtful book he had created by himself that includes photos of the two throughout their relationship. 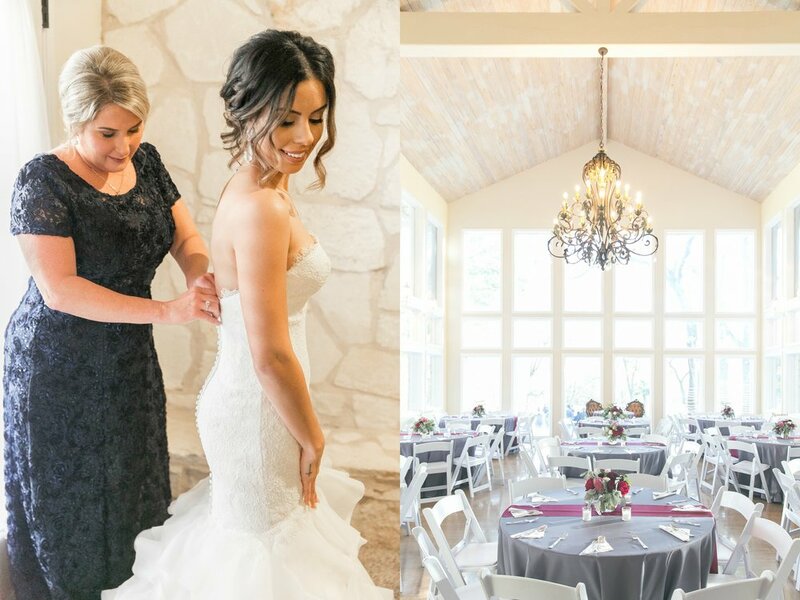 Tears starting flowing down Alaina's check and as she turned each page, her smile got bigger as she was reminded of all the good times they had shared leading up to this perfect day. I'll admit, I may have teared up a bit too as I captured this moment-I could tell, it was a powerful moment for her knowing she was about to committ herself to the man she had loved for six years! The two opted not to see each other before the ceremony, but decided instead to share a prayer around the corner from one another as the officiant blessed their day. The ceremony music had started and as Alaina began slowly walking down the isle, Tyler couldn't help but react emotionally to his beautiful bride. He was about to make the most important decision of his life, and the moment overwhelmed him with joyful tears. He had been waiting to make her his wife and the moment was finally here. As the ceremony continued, the sweet words and profession of love bound the two together. They also had a small cross ceremony and the officiant explained that marriage takes three and to stay close to the Lord is what will help them last a lifetime. It was a very joyful and emotional ceremony and the two sealed the deal with a kiss. 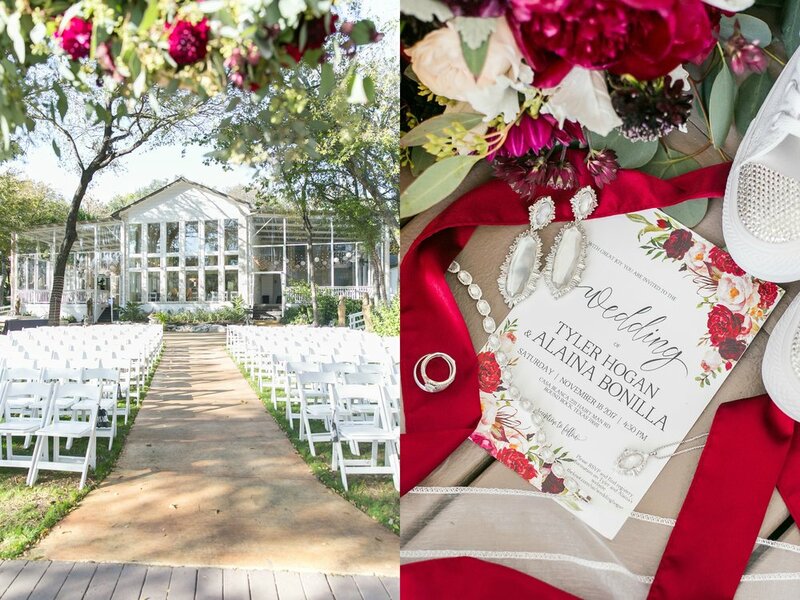 Just like that, Alaina & Tyler were married and were immediately smiling from ear to ear! 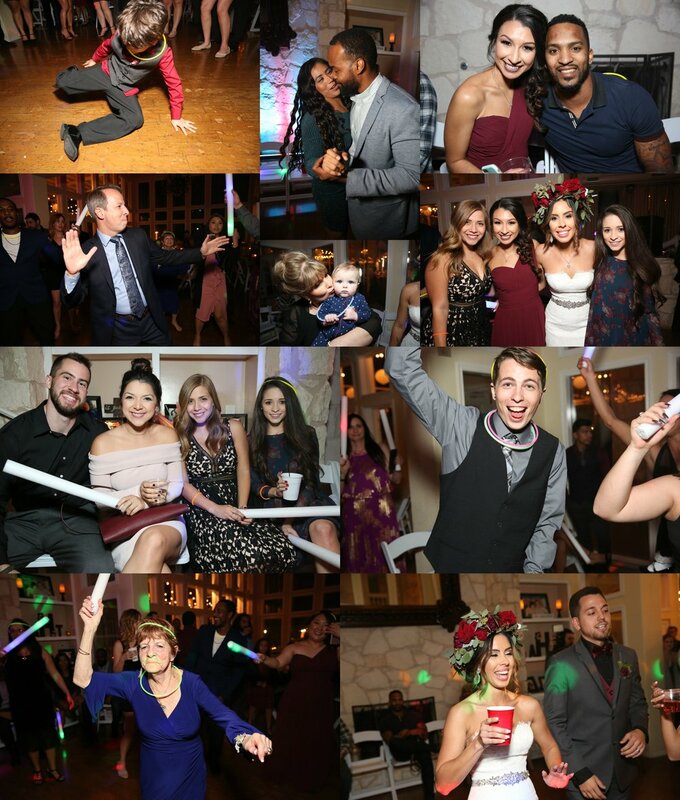 Everyone celebrated the couple with delicious Italian food, strong drinks and fantastic dance moves. The pair had people sign a canvas photo they had enlarged from our Engagement session last year & that was their guest book-so creative! I am sincerely grateful for you to have chosen me as your wedding photographer & had a great time meeting your friends and family. 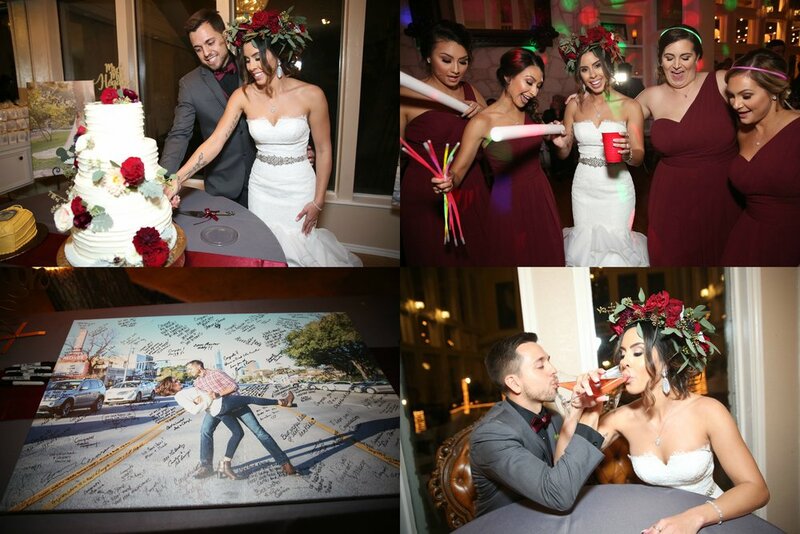 Everyone was so much fun & exceptionally welcoming of having me be a part of your big day. I truly hope your new marriage creates many blessings in each stage that it brings you both. My prayer for you both is that as you look back at these images, you remember the love you had for one another and try to bring that in to your future. I wish you both a life full of love, happiness,and impromptu dance parties! Together, may the years ahead be the best years of your life! Cheers!